Quebec City is in the French province of Quebec in Canada. The whole town looks like it is straight out of the 1600s. It is the only remaining walled city in the whole of North America and is just a delight to walk around! 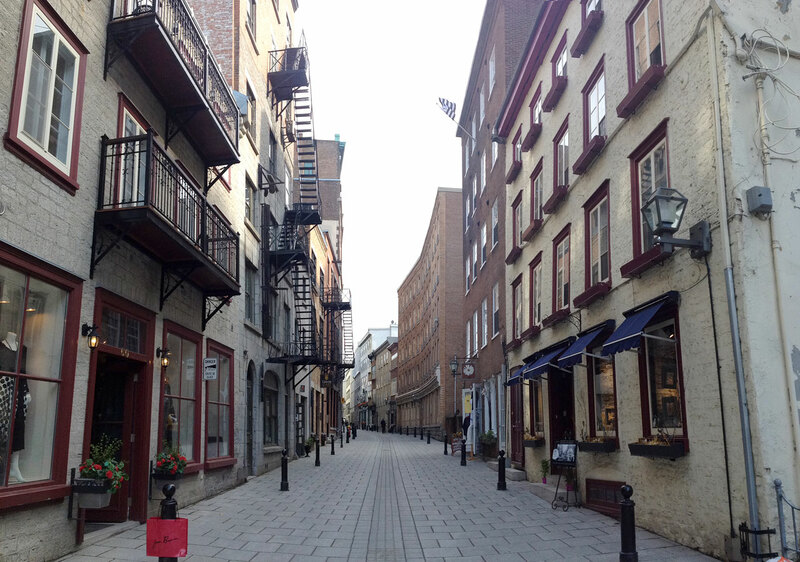 Quebec City is divided into two sections- the Lower Town (Basse Ville) and the Upper Town (Haute Ville). The lower and upper parts are connected by various stairways and also a funicular, or type of chairlift. At the top of the upper town is the iconic Chateau Frontenac, a castle which is now a hotel (and houses one of the few Starbucks in the area!). What people might not know is that directly below the boardwalk decking in front of the Chateau Frontenac lies the remains of early settler’s quarters, before most of it was destroyed in a fire. There are spots in the boardwalk that are covered in glass where you can take a peek at the remains below, and there is also a glass pagoda on the northern end of the boardwalk where you can buy tickets (about $7 each) to descend some guarded stairs and see it for yourself! Underneath the boardwalk you can also see out the windows of the old wall across the Saint Lawrence River.